van der Storm, T, & Inostroza Valdera, P.A. (2014, January). 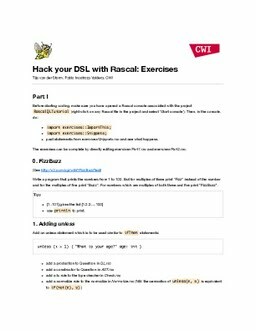 Hack your DSL with Rascal.